Another house I studied at Tell Halif, was the K8 house. This was considerably smaller. Its front section was well preserved, but back rooms had been eroded. Some of the excavators thought that the artefacts recovered from the house may have partly come from a second storey. I have treated all artefacts as coming from a single storey. This is the overview plan of the house. The entrance area was quite small and had a cobbled floor. At the centre of the house was a food preparation area with a grinding installation and many storage jars. Area D was also in the centre of the house. In the north-eastern longroom was a food storage area. And right beside it was a probably an area used for weaving and textile production. A small room contained several storage jars. There also was a small room probably used for goods storage with a plough point. Near the centre of the house, not far from the grinding installation, but further west, was a bread oven with several cooking pots. And then there was the southern longroom, which was also cobbled. It had an underfloor niche, where two small bowls were kept. 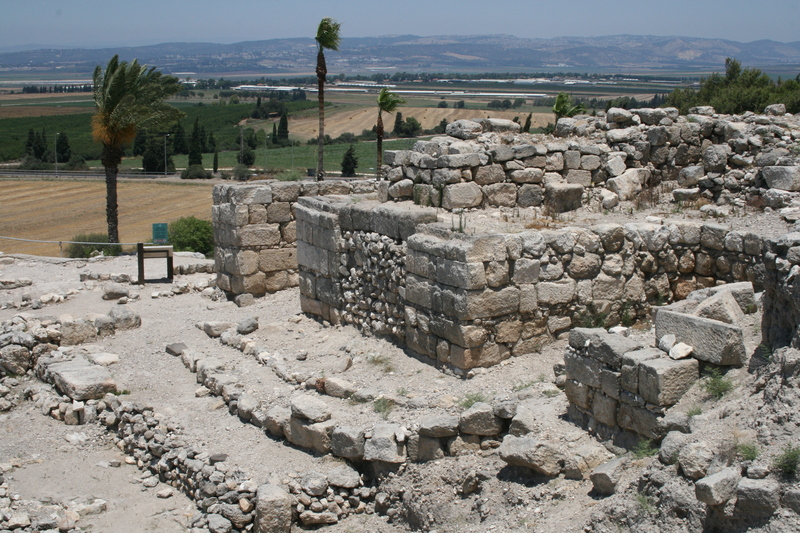 In my book Household Food Storage in Ancient Israel and Judah I investigated several archaeological examples of houses. As part of that I also made some visualisations of the houses, which can be viewed here. The visualisations were used to get measurements, to help with the interpretation for the space and to show what spaces might have approximately looked like. The detailed analysis of the spaces themselves can be found in the book, but here I’ll show several images taken from the visualisations. Tell Halif F7 House Area G. The animals indicate that it was interpreted as a stable. My book “Household food storage in Ancient Israel and Judah” has been published by Archaeopress. It is a revised version of my doctoral dissertation completed for the University of Bern. It explores household food storage by looking at texts, pictorial representations and archaeology. It is an academic book, but with its many illustrations is also suitable for any interested reader. More information can be found on this page of my blog. Over coming months I will upload several visualizations of case studies I used for the book. I published several blog posts on the Assyrian rule of the Levant, especially of the Philistine cities and parts of Judah. see here, here, here, and here. There is a debate among scholars to what extent the Assyrians exploited the areas they conquered and to what extent they encouraged trade, commerce and peace in the area. Most scholars tend towards seeing Assyria as an exploiting empire. state of peace and order,” that eventually resulted in a type of pax Assyriaca. The bad reputation of Assyria was due to an “ideology of terror,” both in reality and in their textual and visual propaganda. This was a means of ensuring the complete submission of their enemies (K. Lawson Younger Jr, Assyria’s Expansion West of the Euphrates (ca. 870–701 BCE), in Archaeology and History of eighth century Judah: Festschrift for Oded Borowski, edited by Zev I. Faber and Jacob L. Wright, Atlanta: SBL Press, 2018. pp. 17-34.). In the same book, Gilad Itach has published an article on the effect of the Assyrian invasion on the Kingdom of Israel. The northern kingdom had enjoyed unprecedented prosperity in the early 8th century BCE. But with the arrival of the Assyrians, the whole society was threatened. In 733/732 BCE the Assyrian emperor Tiglath-Pileser III conquered the Galilee, Gilead and the western part of the kingdom. Just a small rump state in the vicinity of Samaria survived. Samaria was finally captured in 722 BCE under Shalmaneser V or Sargon II. Most of the population of Israel was killed or exiled. Assyrian documents and the Bible tell us that exiles from other parts of the Assyrian Empire were settled in the conquered territories. This is supported by the archaeological remains: many cities, towns and villages were destroyed around the time of the Assyrian invasion. Many were not settled again for centuries. The land was quite empty, it seems. Only in the western reaches near the roads important for troop movements some settlements sprang up. These settlements did not use the characteristic four-room house, characteristic of Israel and Judah. While some material culture was similar to that used before in Israel, there was noticeable foreign influence. All this indicates that indeed, people from a different culture arrived in the new Assyrian provinces. were deported. The Assyrian empire did not invest in rebuilding the provinces. most of Israel’s land lay desolate. It seems that in the case of this area at least, the Assyrian policy was an elimination of threat and of exploitation. There is little indication that Assyria sought to foster prosperity by increasing economic activity. Any settlements were strategically located to support the supply of the military, but not for general economic activity. I have recently read an article that argues that we use too much masculine imagery when referring to God, in particular the term “Father”. Such an argument is often made and one of which few would not be aware of. The author also notes that throughout the Bible God is referred to in feminine terms and that God is neither male nor female. That is all well and good. But then she moves to literary criticism to imply that Jesus would not have seen God as Father and hardly referred to him as such. The author notes that in the synoptic gospels (Matthew, Mark and Luke) Jesus only calls God Father a handful of times. But in the Gospel according to John, God is addressed as Father over a hundred times. She regards the synoptic gospels as more genuine, but John as a highly interpretive attempt to contain Jesus within traditional theological expectations. It is this theologized version of Jesus that held sway in the Church, she says. The synoptic Gospels show how Jesus shocked his Middle Eastern hearers by assigning repeatedly feminine attributes to God. For example, in the story of the prodigal son, even though the main human characters are male, they behave in a feminine way, and should be understood as such. The author uses the tools of biblical literary criticism, as it is taught in universities and seminaries around the world. She recognizes the different voices of the different biblical authors, their different theologies. She analyzes the usage of words and the history of that usage. She looks at the texts within their context. The author has learned well, and uses all those tools to subvert the texts for her own agenda. She desperately wants Jesus to have acted and thought in a particular way and so she reconstructs such a Jesus through literary criticism. While it is true that God is not referred to as often as Father in the synoptic Gospels as in John, it is still the most common term for God, apart from the term “God”. According to my quick, not necessarily accurate, count, Mark refers to God as Father four times, Matthew 46 times (more often even than “God”), and Luke 20 times. That is more than a handful. When comparing this to John, the subject matter and length of the different gospels need to be taken into account. The continued use of the term “Father” in the Epistles indicates that this was a characteristically Christian appellation of God. 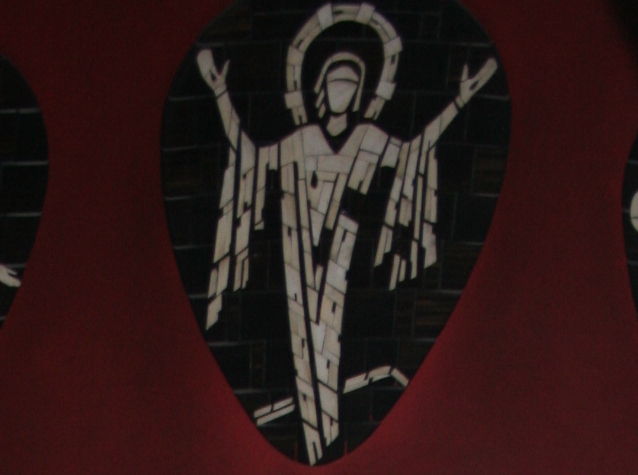 In the Pauline epistles even the Aramaic form “Abba” is being used, indicating that this is something that comes from the earliest traditions about Jesus. Scholars have probably been right that Jesus used the Aramaic word “Abba” to refer to God. Based on literary criticism, this is the most likely reconstruction. While the historical and cultural context has to be taken into account when reconstructing a parable such as the prodigal son, I would say it is something of a stretch to see the main characters as decidedly feminine. Indeed, an argument can be made that the form of the parable reflects a decidedly patriarchal society, more so than other parables. The parable of the prodigal son is not a criticism of such a patriarchal society, but rather makes the actions of the different characters distinct and memorable within such a setting. The parables may clash with some of our modern sentiments, but that should not cause us to interpret them in defiance of their historical and cultural context. A more honest approach would be to recognize the frequent use of masculine imagery in the Bible to refer to God and acknowledge that Jesus himself probably called God “Father” (“Abba”). The consistent, but minor strand of referring to God in feminine terms could then be highlighted. An argument could then be made that in our times this strand should be given more prominence to reflect our heightened awareness of gender issues and the current cultural problems with the image of the Father. This argument could then be debated. It would not require the deliberate misreading of ancient literature. Some knowledge is sometimes less truthful then no knowledge. Post-processual archaeology reacted against processual archaeology, not least because the assumption of the objective observer, who is not embedded in a culture and history, no longer seemed tenable. The explanations of the processualists in scientific language were seen not so much as an objective or truthful account, but more as a highly interpretive account in a language that was acceptable in the social milieu of academia. 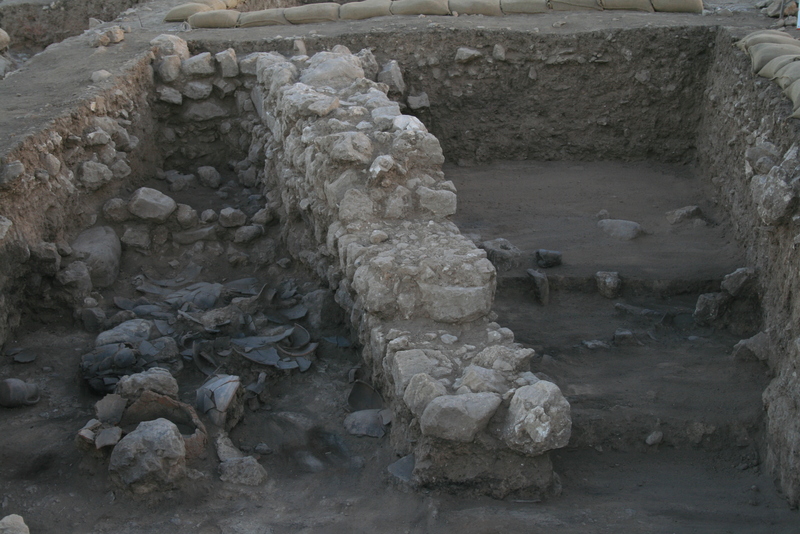 Post-processualists allow for multiple readings of archaeological data. One post-processual approach is to compare the reading of material culture to reading a text (Ian Hodder). Reading a text is not simple understanding, but always interaction between reader and text, in which the reader manipulates the text and the text impacts the reader so that it sometimes even breaks through prior conceptions. Much of the post-processual view of culture is borrowed from post-modernist trends in literature. 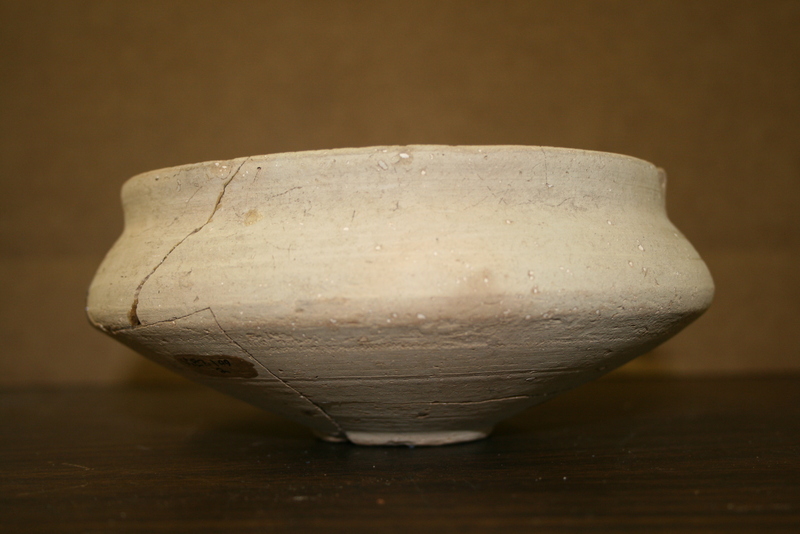 The metaphor of a text may have been overstretched when applied to archaeological material. Reading artefacts like a text may not really tell us much about the past, may not allow us to write history. Nor does it give much guidance in settling on a research design. Also, the question of who the reader is, and whether some readings are more adequate than others, cannot be settled. The post-processual critique, coupled with changes in societal and academic thought, has had a profound influence in archaeology, but has not produced a new, broad, dominant approach. Rather, a variety of approaches have been suggested. They tend towards a more pragmatic practice of archaeology, which really tries to say something about the past while recognizing that our understanding of the past is always a construct. Instead of at least formally insisting on a narrow, deductive approach, many archaeologists now openly use inferences that provide the best interpretation of the data. It also has to be recognized that the more archaeologists know from other sources about the people who produced the artefacts, the less likely they are drawn to extreme versions of theoretical approaches. For then the archaeological data are seen as part of the humanity and complexity of past lives. Processual archaeology developed earlier than evolutionary archaeology, but with the same goal of making archaeology more scientific. Even though it was in part a reaction against culture history, in practice the two were sometimes merged by describing the cultural systems of various culture periods. Most of its practitioners would also use some evolutionary schemes for explanation, whether it was progressive evolution or a less value-laden version. In contrast to evolutionary archaeologists, they saw evolution acting upon the cultural systems, which they reconstructed (though practitioners would not generally admit to “reconstruction” on their part), rather than artefact assemblages. Change was often seen in terms of the collapse of one system and the emergence of a new one, similar to the dominant view in ecology at the time. While the processes of change were studied, in practice, processual archaeology tended to view cultural systems in nearly static terms. The relationships within such a system were studied through a host of specialists. We have processual archaeology to thank for the increased use of faunal, botanical, petrographic and statistical analysis, among a host of other specialised approaches. The aim was to combine these studies to describe the overall cultural system. In practice, also partly due to the academic pressure to produce articles, the various specialist studies are often published separately and are not integrated. Processual archaeology tends to disregard events and human intentionality, and to view human life in mechanistic terms. While it may be possible to analyse ancient lifeways, they would be seen in wholly functional terms. Because many archaeologists followed the notion of universal laws, the historically particular situation was often not addressed. History and culture were seen as distinct. These presuppositions have to be taken into account when trying to use archaeological data interpreted within this framework for writing history.